Way back in 2015, Screen Queens published an article titled ‘Dream Biopics and their casts‘, compiling a long list of famous faces we’d love to see immortalised on screen, and who would play these respective characters. It’s since been one of my favourite articles we’ve ever posted. Now with a large number of new writers on our team, we’re back again with Part 2! 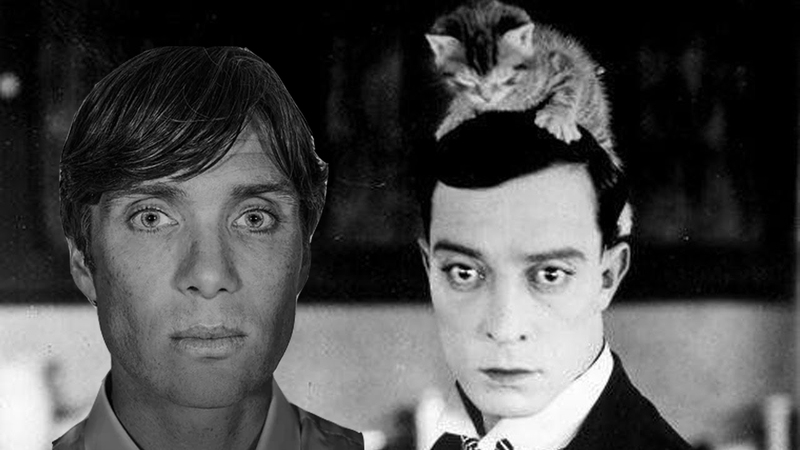 Casting drama film regular Cillian Murphy as one of cinema’s most beloved silent comedians may seem oxymoronic, but Buster Keaton’s life really did play out more like a tragedy than like any of his comedic masterpieces. After almost a decade of cementing his fame and success with a multitude of short and feature-length films – all of which were made by his own production company, no less – he suffered a major hit to his creative control in the late 1920s. Keaton’s distributor, United Artists, was unhappy with how little money his film The General (1926) had made in comparison to its budget, and so decided to curb his filmmaking independence. Frustrated by this sudden restriction, Keaton started working with Metro-Goldwyn-Mayer from 1928 onwards – a move which only made him lose even more artistic autonomy. His career and first marriage declined simultaneously, triggering a fall into alcoholism (a problem his own father had suffered when Keaton was growing up) and depression. The decade that followed saw the comedian undergo a host of personal and professional struggles, including another failed marriage and being fired from MGM. His life finally got back on track in the 40s and 50s; he married for a third and final time, appeared in highly-regarded films such as Sunset Boulevard (1950) and Limelight (1952) and even had his own television show. 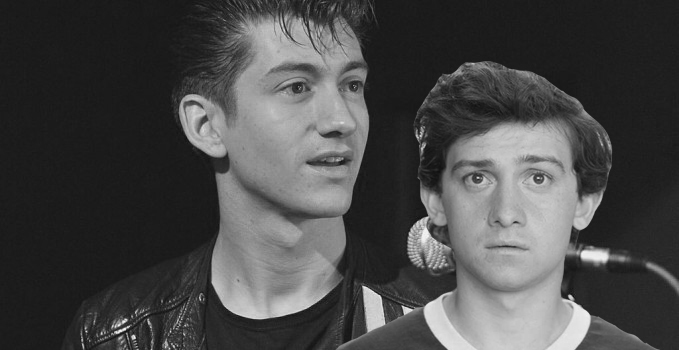 Like any iconic frontman, Alex Turner grants Arctic Monkeys a great allure that hooks in fans with enchanting intrigue, in a similar, yet greatly contrasting manner from famous frontmen before him. Turner offers poetic, zany, often witty lyrics, juxtaposed with his ever-changing personal style, from garage rock to lounge pop – paired with a matching aesthetic to exhibit. The contrast of the quiet, bumbling Yorkshire man in interviews that never gives away the game of his personal life creates a desire in fans to know what’s going on in what appears to be an extraordinary mind, the ideal candidate for a biopic. Having directed several music videos and a concert film for Arctic Monkeys, as well as recruiting Alex Turner to provide the soundtrack for his film Submarine, Richard Ayoade has a clear creative relationship with Turner. Ayoade’s music videos are gorgeously bizarre, with rather simplistic concepts illustrated with dramatic and colourful, loopy flair. This is well matched to Turner’s ambiguous lyricism, which is shown through their frequent partnership. This understanding of Turner’s intentions makes Ayoade a favourable choice in making sense of a rather mysterious personality for the big screen. At just 32 years old, Sally Ride was (and still is) the youngest NASA astronaut, and was the first American woman to travel to space. As a Stanford PhD candidate in physics, Ride answered a notice in the student newspaper from the NASA space program, onto which she was subsequently accepted. Ride’s first space flight was heavily followed by the media as a result of her gender, with press stirring up misogynistic inquiries in relation to her abilities as a woman. Despite this, Ride’s career as an astronaut was a huge success, and she received several awards for her work in the field, showing women and girls like her that they too could pursue their dreams of going to space. 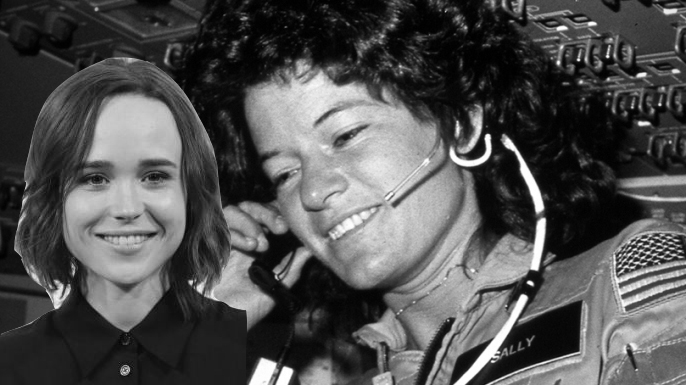 Though women’s history in STEM is far less well-documented than men’s, and pretty much everyone has heard of Neil Armstrong, recent space biopics like Hidden Figures (2016) have begun to unearth some of the truly incredible stories of women’s contributions to astrophysics. Ok, I know, Virginia Woolf is getting a new film this year. But my dream biopic still has not come to life. First, it is common knowledge that Virginia Woolf was a literary legend, a model of virtuosity with words. And on top of being a brilliant, exquisite, tortured soul, she was a pioneer of feminism which is why I believe her story deserves to be told, but from a slightly different angle. 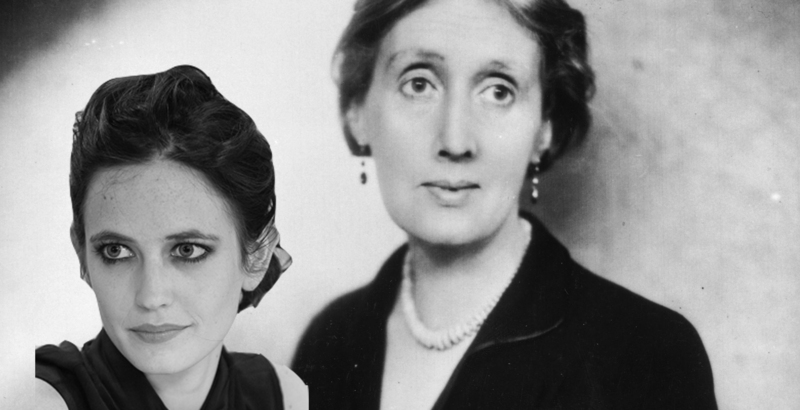 Her whole life, she struggled with mental illness and if she were living in our time, Virginia Woolf would probably be diagnosed with a bipolar disorder. The mood swings and above all depression ate away her life little by little until the tragic end: suicide at the age of 59. Now, what was it like living in the beginning of the 20th century being poorly understood? How does such a great mind handle art and pain at the same time whilst being creative still? How did it all influence Virginia’s writings? These are the questions that I would love to get a cinematic answer to, especially since films portrayal of mental illness is noticeably improving these days. Biopics have always been a fascinating avenue for Hollywood films to venture down, as they allow filmmakers, actors and audiences alike to relive the struggles and successes of some of the world’s most noteworthy people. That being said, there is one name in particular that avid comic and film fans tend to recognize immediately, yet it continues to blend into the background since this person is, to put it frankly, unproblematic and Loki (yes, pun intended). Two words: Stan Lee. One of the creators at the forefront of the Marvel universe, Stan Lee’s contributions to film are unparalleled, so it is high time that his tale is told. Stanley Martin Lieber was born on December 28th 1922. His family suffered heavily from the aftermath of the Great Depression. Throughout his life, he worked many small jobs, but he never stopped dreaming of creating a lasting piece of work that was his own. In 1939, Lee was hired by Timely Comics-which later evolves into Marvel Comics-as an office assistant, not knowing that that would propel him exponentially into the realm of comic books. Lee’s comic book debut came in the form of an ‘issue filler’; he wrote a short blurb about Captain America-a new hero he invented-in order to fill the blank space in one of the company’s issues. Choosing to join the army during WWII, Lee channeled his creative juices into serving his country; he wrote numerous manuals and scripts for videos used to train soldiers. Fun fact: he is one of only nine people to be listed as “playwright” in the army. It was in 1950 however, when Lee was given his biggest opportunity. He was asked to create a new superhero team, as competition with DC Comics was high because they’d just established The Justice League. In collaboration with Jack Kirby, Lee created The Fantastic Four which, at the time, included superheroes such as Hulk, Iron Man, Spider-Man and Thor. That initial Fantastic Four team is arguably one of his most significant creations to date, and what ultimately launched him into superstardom in the comic world. During the 1960s, Lee wrote and published a large majority of his comic books where characters like Dr. Strange, Daredevil and The X-Men to mention a few, were introduced. Here’s another fun fact: in 2000, after rapidly climbing up the ladder within the comic world, Lee become directly involved with DC, where he refashioned Superman, Batman and Wonder Woman for a new series he launched for them. 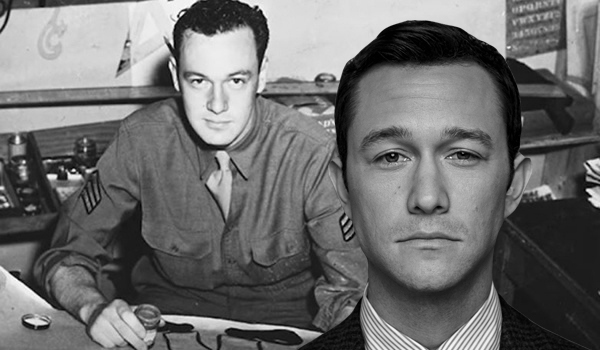 One actor who would no doubt do right by this entertainment icon is Joseph Gordon-Levitt. Besides looking very similar to Lee in his younger years, Gordon-Levitt is able to capture any audience’s attention through his natural ease and charisma in front of the camera. He’s already proved himself capable of a portraying a wide range of characters, each one distinct yet complex. His filmography includes rom coms like 500 Days of Summer, action flicks like Looper and Inception, and the family film Treasure Planet. In fact, Gordon-Levitt is no stranger to biopics: he played the titular role in 2016’s Snowden, a movie that tells the true story of Edward Snowden, a man who shed light on the NSA’s illegal surveillance by stealing and leaking classified documents. Having also portrayed Robin, Batman’s well-known and eventual sidekick in Christopher Nolan’s The Dark Knight Rises, Gordon-Levitt is obviously aware of the extremely dedicated and vocal fanbase that comes with the world of superheroes. For years, Stan Lee has been giving us stories we can escape into. Therefore, it is only fitting that one of the world’s most creative storytellers should have the favor returned to him. Stan Lee is a remarkable person who has led an unconventional, yet remarkable life, and Joseph Gordon-Levitt is the man to properly share his journey with the world. And since Lee is the king of cameos, wouldn’t it be awesome if all the superheroes he invented, or even their actors, made cameos in his biopic?! That’d just be the icing on the cake. Casey Anthony’s story is one which has captured the minds of an American audience for the past decade. With the ten-year anniversary of case falling this year, it’s a wonder this enduring mystery has yet to be realized on the big screen. The judicial and parental negligence that lead to this twenty-something mother walking free, after the death and dumping of her young child, would make for fascinating feature film. As one of the most high profiles cases in American history, it draws parallels to the media frenzy and subsequent cultural obsession of the OJ Simpson case. Its unfolding left a nation divided, obliterating any remaining faith either side had in the American judicial system. In the era of Netflix, and true crime, this reverse scenario would leave audiences aghast and possessed by that one prevailing question; but did she do it? And who better to play the doe eyed, manipulative and whole-heartedly divisive Casey Anthony than Megan Fox. 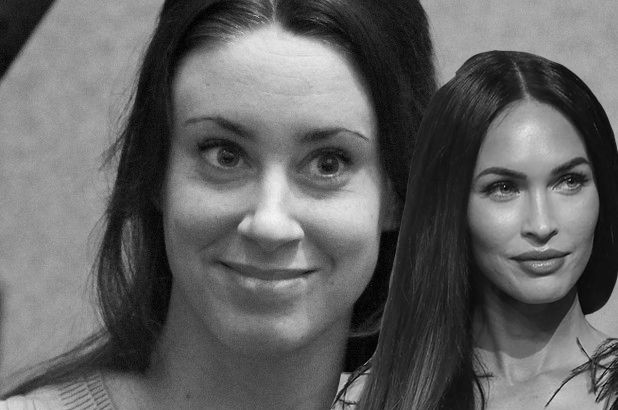 So much of Casey Anthony’s fate hung on her good looks and party girl persona, a story not that unsimilar to Megan Fox’s own. As an actress known primarily for her staggering looks, and apparent diva behaviour, she has also dealt with her own share of media scrutiny. Despite her obvious talent, evidenced in the likes of the criminally overlooked Jennifer’s Body, Fox has yet to be given the roles she deserves. Taking on such a vehemently hated character, would be her chance to prove she can method with the best of them. In terms of director, it would be interesting to see Sofia Coppola take on the crime of the century, as a sort of second act to The Bling Ring. By cashing in off the success of the wall breaking, genre defying I, Tonya, it’d be a trip to see Casey Anthony’s story done in the same style. In spite of some supposed dark history and conspiracies surrounding the man behind the happiest place in the world, I would love to see a well-done biopic of Walter Elias “Walt” Disney. After Tom Hanks played him so brilliantly in Saving Mr Banks, I knew it could be something great. Walt had a rough childhood, being born in 1901, he was just a teenager during the first world war; and in world war two his new-found company helped make US propaganda. One of five children, he used to sell paintings and drawings to neighbours, and in 1928 he created the iconic character of Mickey Mouse. 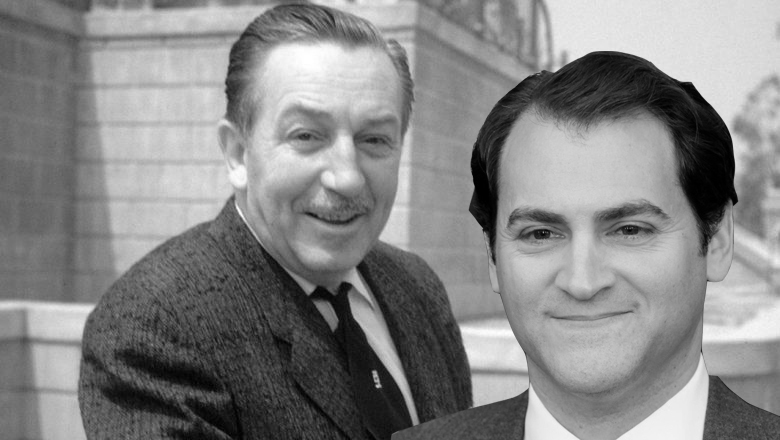 Walt Disney has had an unbelievable impact on the world and the childhoods of millions, a film as sweet and nostalgic as Saving Mr Banks would be lovely – but perhaps something more in-depth and impactful is needed. Throughout the years Disney has often been accused of anti-Semitism and racism, could that be something worth exploring? Or is it just plain mean to tarnish a childhood of wonder for so many? The history of Fleetwood Mac is, to say the least, a tumultuous one. Amidst the heady, intoxicating environment of the rock world in the seventies, the band underwent torrid affairs, break-ups, and the kind of heartache-fuelled outbursts that often threatened their ability to work together – all while crafting their magnum opus in 1977’s Rumours. How their tale has not yet been dramatized by filmmakers in search of a truly enthralling biopic is, quite honestly, beyond me. Theirs is a story ripe for the telling, dominated by yearning, hedonism, and era-defining music; the band-member’s life that would cry out for the most attention to be paid to it, however, is surely that of Stevie Nicks – the ethereal frontwoman whose witch-like aura and penchant for lyricism based on ancient Welsh mythology would make her into an icon. Decades on from her introduction to the music world alongside her former partner, Lindsey Buckingham, Nicks’ legacy continues to resound in the work of many modern artists, from Lorde to the Haim sisters – what better time is there to examine her life than now? There is already an audience hungry for Nicks’ story to be portrayed through film, one which spans from those that first discovered her in their youth in the seventies and eighties to the young women and girls that see reflections of themselves in her creativity and spirituality. And why not cast one of brightest young things around in Olivia Cooke? With both Me and Earl and The Dying Girl and Thoroughbreds under her belt, Cooke has already conveyed considerable talent on the indie scene, and is in enough possession of the kind of mixture of relentless charm and formidability that makes Nicks so unique – the role could be exactly what she needs to crown her as the reigning queen of young Hollywood. Patricia Highsmith was an American novelist, renowned for her suspense and crime fiction stories. 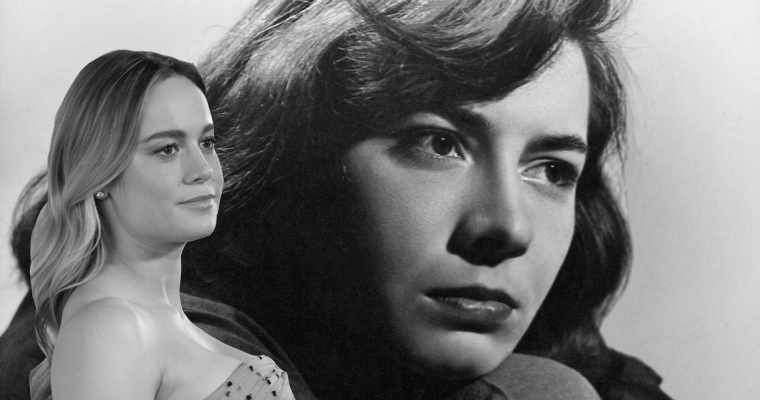 Authoring the Ripley series and Strangers on a Train amongst many others, Highsmith’s novels have been the subjects of several successful film adaptations – perhaps most notably by Alfred Hitchcock – and it’s time that her own life and experiences were brought in front of the camera. Highsmith was often described by her peers as difficult and antisocial, though possessing a wicked sense of humour, and a fervent imagination that inspired her unforgettable stories. Her struggles with her mental and physical health also fuelled her self-proclaimed cynicism. Although a relatively private woman, Highsmith was very frank and open about her sexuality as a lesbian, something which would be interesting to explore in relation to both her career and relationships. As a young woman she took a temporary job at Bloomingdale’s department store, where she encountered a beautiful blonde woman, who inspired her to draft the plot of her second novel that night. However, the landmark lesbian novel The Price of Salt (or Carol) was initially written in 1952 under the pseudonym Claire Morgan due to the unconventional and highly self-referential subject matter, though it was ultimately extremely popular amongst women. Born James Newell Osterberg, Iggy Pop is one of the most iconic figures of Punk Rock, with songs such as ‘I Wanna Be Your Dog’, ‘The Passenger’ and ‘Lust For Life’ in his back catalogue. With his effervescent and demanding stage presence and notorious history he would be the perfect candidate for a good ol’ music biopic. Starting out as a teen in Ann Arbour, Michigan, the film would start with James playing with the group The Iguanas in the late sixties, eventually taking his stage name ‘Iggy’ from their band name. Iggy then states that a pivotal moment in his life was an early The Doors concert in ’67 that changed the way he viewed performance (this would also be a fun job to cast young Jim Morrison). After this, The Stooges were born, the ballsy in-your-face attitude of Iggy’s new found stage persona was solidified and they put out their debut record The Stooges in 1969, achieving cult status. 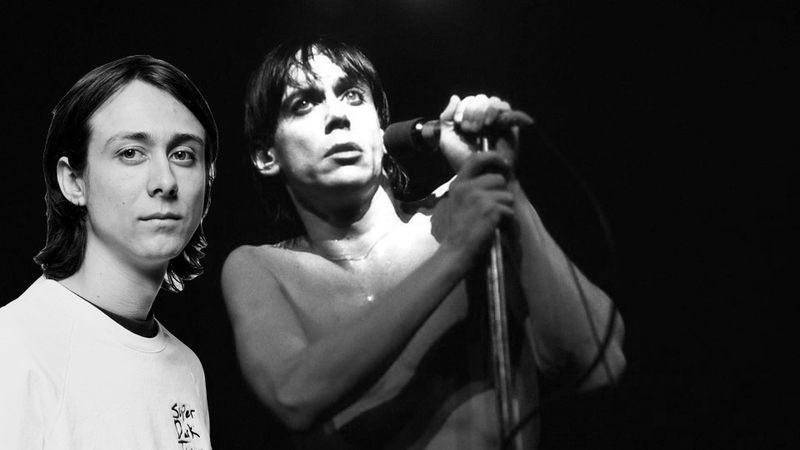 Iggy’s story now is a long road of Stooges break-ups, reunions and a whole lot of drugs, largely his heroin addiction. Iggy’s drug problems would be the strife of the film, a constant war between himself, substance and a desire to perform that was eventually turned around by David Bowie after they became friends and moved to Berlin to deal with both of their addictions. This was also a very pivotal moment in Bowie’s life, and I think the time they spend in Berlin helping each other and Iggy Pop rebrands himself with albums The Idiot and the iconic 1977 record Lust For Life that gained him massive critical success.